Join us for a User Experience Design Presidential Dream Course Lecture with Dr. Diana Bairaktarova. Dr. Bairaktarova is a previous faculty member of AME and is currently an Assistant Professor at Virginia Tech in the College of Engineering’s Department of Engineering Education. Her seminar is titled, The User Experience Evolution: Empathy in Engineering Design Practice. The seminar is Thursday, October 29, 2015 at 9:00am in the Hitachi Conference Room, 214 Felgar Hall. The lecture is open to the public. Abstract: Understanding user needs and customer preferences is critical to the design process. The engineering design community has produced various models, techniques, and approaches to build creative understanding of user’s experiences for new product development. Implemented within industry and academia, these methods prove to be impactful as they have been shown to influence market capture and product similarity. Bio: Dr. Diana Bairaktarova is an Assistant Professor in the College of Engineering, Department of Engineering Education at Virginia Tech. Dr. Bairaktarova completed her Ph.D. in Engineering Education from Purdue University. She received her B.S. and M.S. degrees in Mechanical Engineering from Technical University in Sofia, Bulgaria and an M.B.A. degree from the Hamline School of Business, St. Paul, Minnesota. 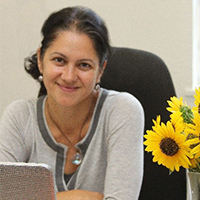 Dr. Bairaktarova has over a decade of experience working as a Design Engineer. Her research focuses on human learning and engineering, i.e. understanding how individual differences and aptitudes effect interaction with mechanical objects in engineering education instruction and how engineering students’ personality traits influence decision-making process in engineering design. For more information about Dr. Bairaktarova or the User Experience Design Presidential Dream Course Lecture Series, please click here. Join us for this week’s User Experience Design Presidential Dream Course Lecture with Carolyn Seepersad. Dr. Seepersad is an Associate Professor and General Dynamics Faculty Fellow of Mechanical Engineering at the University of Texas at Austin. The seminar is Tuesday, October 27, 2015 at 9:00am in the Hitachi Conference Room, 214 Felgar Hall. The lecture is open to the public. Carolyn Conner Seepersad is an Associate Professor and General Dynamics Faculty Fellow of Mechanical Engineering at the University of Texas at Austin. 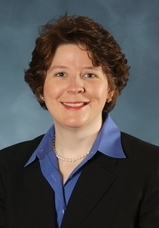 She received a Ph.D. in Mechanical Engineering from Georgia Tech in 2004, an M.A. and B.A. in Philosophy, Politics and Economics from Oxford University in 1998 and a B.S. in Mechanical Engineering from West Virginia University in 1996. She is a former Rhodes Scholar, Hertz Fellow, and NSF Graduate Fellow. Dr. Seepersad’s research involves the development of methods and computational tools for engineering design and additive manufacturing. Her research interests include simulation-based design of complex systems and materials, design for additive manufacturing, innovation and environmentally conscious design of products and energy systems. In 2009, Dr. Seepersad was the inaugural recipient of the International Outstanding Young Researcher Award in Freeform and Additive Manufacturing from the additive manufacturing community. In 2010, she received the University of Texas Regents’ and Dean’s Awards for Outstanding Teaching by an Assistant Professor; the Regents’ award is the highest teaching award for faculty in The University of Texas System. 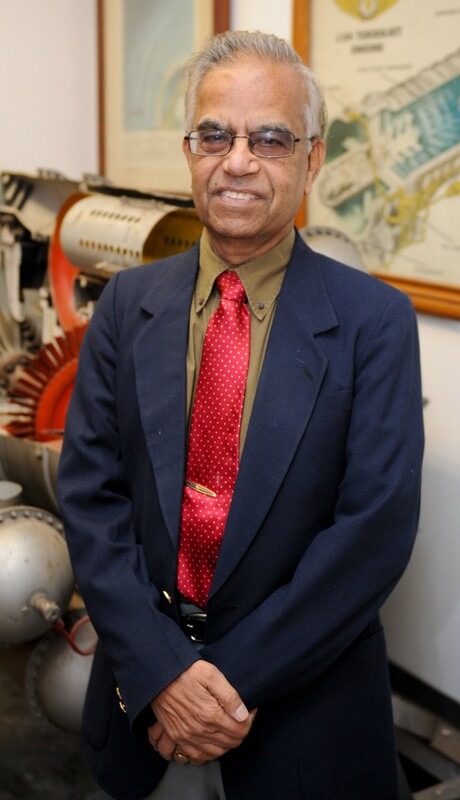 Dr. Seepersad is the recipient of a Best Paper Award for the 2009 ASME Design Theory and Methodology Conference and two best paper awards for the 2010 ASEE Annual Conference and Exposition. She is also the author of more than 70 peer-reviewed conference and journal publications and one book. She annually organizes a DAC special session on Design of Multiscale Engineering Systems, and she co-organizes the annual Solid Freeform Fabrication Symposium. For more information about Dr. Seepersad or the User Experience Design Presidential Dream Course Lecture Series, please click here. 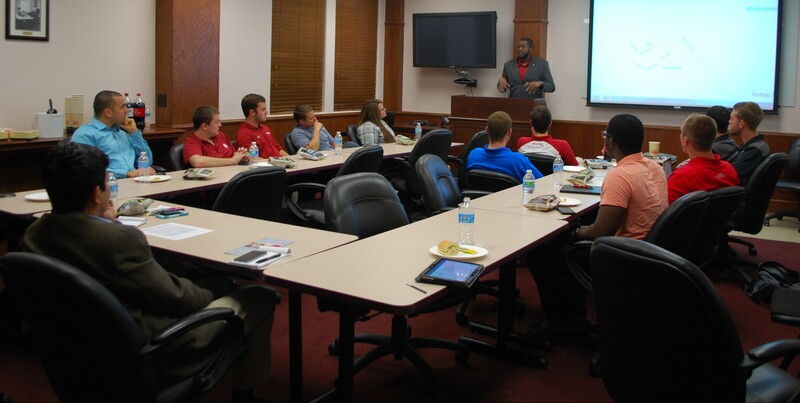 On the evening of October 21, 2015, the 2015-2016 Student Advisory Council (SAC) held their first meeting of the semester. SAC consists of student team and student organization leaders at AME. In addition, a chair of SAC is appointed by the AME Director. The SAC is organized to represent the undergraduate and graduate student body at AME. At the meeting, the students introduced one another and shared current information about their organizations/teams such as recruitment, retention, participation, competitions, branding, etc. Jawanza Bassue, SAC Chair, created a brief activity for attendees, which included submitting words that come to mind about AME and the student organizations/teams using their phones. Students posted words like funding, growing, opportunity, hard-work, direction, tradition, stewardship and participation. This led to discussion about what AME is doing well as a school and student population, as well as some things that need to be improved. Students can sign up for Lean Cell Advising by logging on to iadvise.ou.edu with 4×4 and password. Select the Department Level Advisement (AE or ME at the School of Aerospace and Mechanical Engineering), then select Make Group Appointment. Reserve an advising time slot. You can only reserve one. Arrive at the beginning of your time slot to ensure you will be advised during that time. You will be seen sometime within that 30-minute time frame. The advising session should only take approximately 10-15 minutes if student comes prepared. If you do not reserve a time before attending Lean Cell Advising, you may not be seen if the time slot is full upon arrival. For more detailed information, please click here. All advising sessions will be held in room 200 of the Rawl Engineering Practice Facility. Students not advised through Lean Cell Advising may not be able to enroll in courses until Spring 2016. Lean Cell Advising at AME is sponsored by Shell. Subramanyam R. Gollahalli, AME Professor, was recently honored as a Top 100 Educator by the International Biographical Centre. This honor is awarded to 100 educators of all disciplines who have made a significant contribution in their field to create influence on a local, national and/or international basis. Dr. Gollahalli was also selected as Who’s Who in the World® 2016. This honor is also based on Dr. Gollahlli’s hard work, dedication and achievement in his area of research. Professor Gollahalli’s research interests encompass fundamental as well as applied topics in the energy and combustion fields. 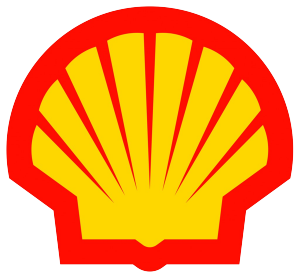 The projects under his direction include combustion of liquid drops and sprays, flame characteristics of pulverized coal and synthetic fuels, combustion of biofuels, hybrid fuels such as emulsions and slurries, internal combustion engine and gas turbine combustors, turbulent diffusion flames in cross-flow streams and microgravity combustion. Join us for this week’s User Experience Design Presidential Dream Course Lecture with Geoff Parker. Mr. Parker is an Architect and Adjunct Instructor at OU’s College of Architecture. The seminar is Thursday, October 8, 2015 at 9:00am in the Hitachi Conference Room, 214 Felgar Hall. The lecture is open to the public. Geoff Parker is a licensed architect with over 14 years of experience. During his career, Mr. Parker has designed and worked on a wide range of projects including single family residences, restaurants, retail centers, multifamily residential projects, commercial office buildings and master planning projects. Additionally, Geoff has taught for eight years as an Adjunct Instructor at the University of Oklahoma’s College of Architecture, teaching first, second and third year design studios. Geoff received the Outstanding Adjunct Award from the College of Architecture in 2014. Mr. Parker specializes in conceptual and schematic design, employing a hybrid of manual techniques and computer applications to produce high quality contextual designs and unique architectural graphics. Geoff’s drawing skills have been widely recognized locally with over thirty different illustrations published in magazines and newspapers. His work has also been recognized nationally in Architectural Record Magazine, receiving an award of merit in the Cocktail Napkin Sketch Competition in 2010 and also receiving the overall professional winner honors in the 2012 competition. Mr. Parker has sold hundreds of custom sketches and works of art to clients all over the country. For more information about Mr. Parker or the User Experience Design Presidential Dream Course Lecture Series, please click here. EurekAlert! The Global Source for Science News published a news release regarding AME’s selection and participation in Transforming Engineering Culture to Advance Inclusion and Diversity (TECAID) program. The five-person TECAID team represented by AME includes M. Cengiz Altan, Director and Professor; J. David Baldwin, Associate Professor; Wilson Merchan-Merchan, Associate Professor; Zahed Siddique, Professor; and Rebecca Norris, Office Manager. To read the article, please click here.